LEGO offers an amazing opportunity for students to build both easily and quickly. You don’t have to get specialized pieces and tools to make a robot or an engineering model. Students love being able to just sit down and start putting those pieces together. This is the magic that LEGO brings. However, students building with LEGO are often very quick to demolish their builds and start over without first testing their ideas out. So, how do you convince students not to take their designs apart so quickly? Have your students learn to document their work. 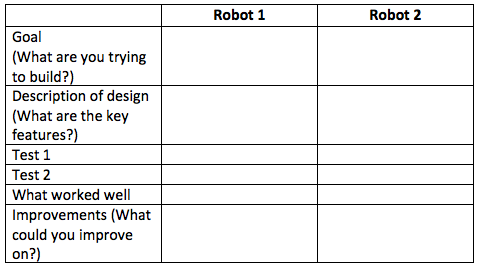 Have students create a simple chart that describes the structure or robot they built, what they like about it and what they could improve on. 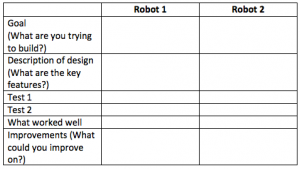 Work with them to identify some testing criteria. For instance, if the students were building a bridge, you might test how much weight it can hold, etc. If they are building a robot, you might test how well it follows a line or turns. Have students take a photo, create a video blog, or hand-draw an image of their design. The Khabele School in Texas uses video blogs in their robotics classroom. 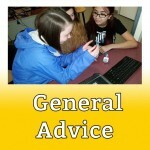 View this video on student projects and this video on a challenge. 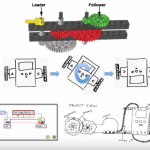 Create a CAD for your design using a tool such as LEGO Digital Designer. Such documentation is the basis of the Engineering Journal. It teaches students to document ideas, test them and then revise them. 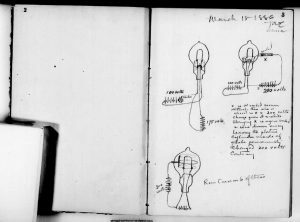 For detailed examples of an engineering or lab notebook, read an article on Design Notebooks from Science Buddies. Few ideas work 100% the first time. Teaching them early to document, test and persist will develop their engineering skills. Who knows? One of your students might be the next Edison. 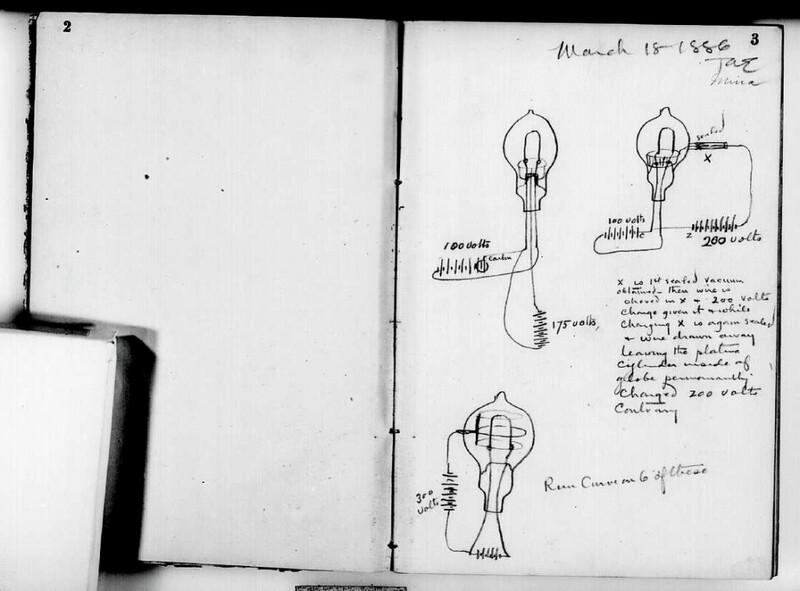 Edison Journal photograph reposted from Science Buddies (original image by Thomas Edison National Historical Park).